The ~18 acre Orra Phelps Nature Preserve, located in the Town of Wilton, boasts approximately 1.5 miles of meandering trails that lead visitors down to a section of the Little Snook Kill Stream. 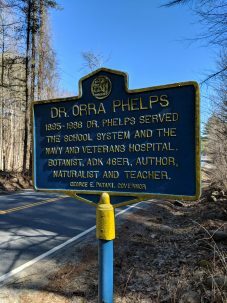 The Orra Phelps Nature Preserve was donated to the Saratoga Land Conservancy (now Saratoga PLAN) in 1996 by Mary Arakelian, niece of Dr. Orra Almira Phelps. Dr. Phelps was a well-known naturalist with a passion for birding, hiking and collecting plant specimens from around the Adirondack region. Among her many accomplishments, including service as a navy physician during WWII and being a geology teacher, she authored several nature guidebooks and journal articles in publications such as the Adirondack High Peaks. The land that now makes up The Orra Phelps Nature Preserve was a long-time family treasure where Dr. Phelps enjoyed solitude, conducted family nature walks, and endeavored to preserve rare plant species of New York State. 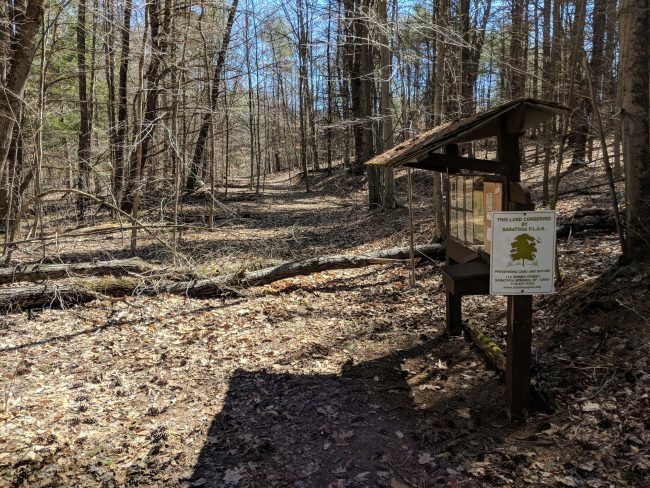 Now permanently protected by Saratoga PLAN, this preserve honors Dr. Orra Phelps’ legacy and can be enjoyed by visitors as they travel throughout wetlands and woodland habitats, across boardwalks and down trails, and up and over hills where large old growth trees tower overhead. Take the Northway (I-87) to Exit 16. Turn west (left if coming from south, right if coming from north) on Ballard road. After 2 miles, cross Route 9, then turn south (left) on Parkhurst Road. Go one more mile to the preserve parking lot on the left. The trailhead is just beyond the public parking lot. The section of the Little Snook Kill that runs through this preserve has a smooth slate bottom to it. If the stream is flowing calmly, try kicking off your hiking boots and walking through the water on a warm summer day!